Conceal it all, big to small. L'Oreal Paris True Match Super Blendable Crayon Concealer offers customizable coverage from the tiniest of blemishes to larger areas of imperfections. The tip of the crayon allows for precise application while the side of the crayon can easily canvas a larger area of skin. The innovative formula provides sheer to full coverage that blends easily and won't look cakey. 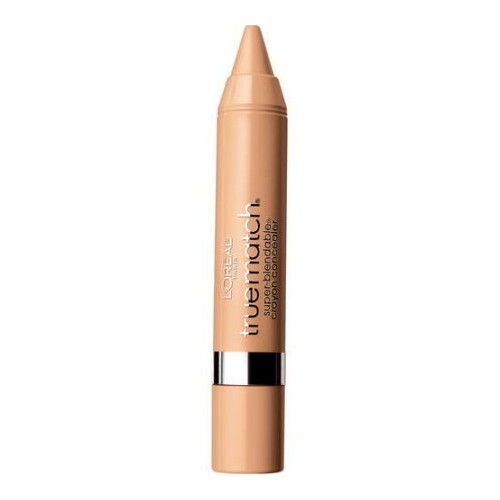 L'Oreal Paris True Match Super-Blendable Crayon Concealer contains high levels of liquid and soft waxes, giving it an ultra-creamy, lightweight texture with superior bendability. Its high-pigment concentration provides excellent coverage, while the elevated liquid content, silicone elastomers and light-diffusing pigments keep the product from looking cakey on skin and never drags.